As a little girl, Sonia Piva from Melbourne, Australia, has been visiting her mother, Maria Piva's families at Fagalii and Salelesi every year. But this time around, she has taken the quantum leap to live in Samoa. And it's not just because she is one of the nine contestants vying for the Miss Samoa crown, but to learn more about her Samoan family, our way of life and how the Samoan culture has nurtured her through her mother's teaching and scolding to become a responsible young adult. And she is having the time of her life. She admits that she is getting spoiled with a lot of attention from countless cousins, aunties and uncles. "There's no privacy but I wouldn't want to be anywhere else but here. Life is a lot simpler here compared to Melbourne," says the 21-year-old, who has landed a job as an Assistant Secretary to the Pacific Games Organising Committee Chief Executive since March this year. "I have found her to be a very helpful and a cheerful individual who always presents herself in a professional manner and has become a valued asset to our office team," wrote Papalii-Ida Tifitifi Fuimaono from the Pacific Games Committee. "Sonia is a peoples person who uses her initiative and not afraid to tackle new challenges. Most importantly, she has the heart for our country and our people which is reflected in her work and interactions," continued Papalii. 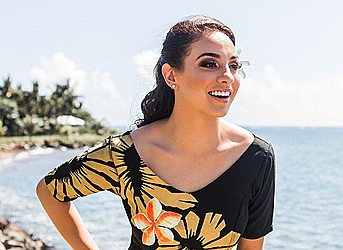 Representing Miss Susana o Samoa in the 2018 Miss Samoa Pageant, Sonia has an inspiring story to tell. 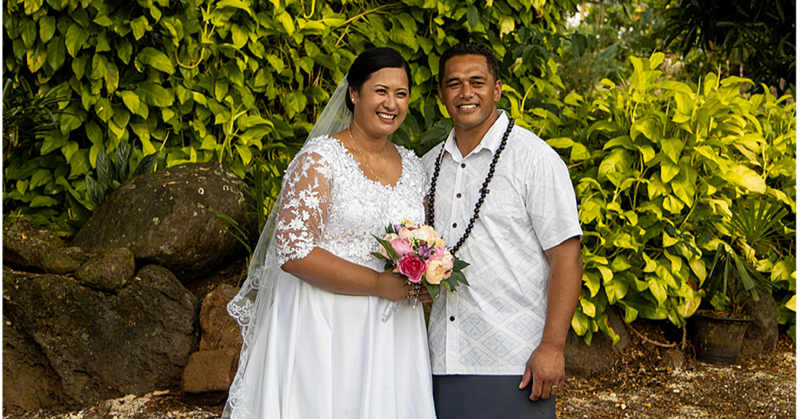 The youngest in a family of two, Sonia is not blinded by the attention and she has come to appreciate the pressure she is shouldering to rise to the occasion and meet the expectations of her huge Samoan family. "Meeting the expectations of relatives and supporters is paramount to me," she says. "While it's exciting, the contestant role also comes with a lot of responsibilities and demands." Her pageant platform will be “education”, which comes as no great surprise as teaching is her passion. Sonia is presenting pursing Bachelor of Education, at the same time taking online courses on Health Care for the Disabilities. "Education is the key to prosperity," she said. "I have always been passionate about teaching. "Coming to Samoa I have volunteered to help the Peace Chapel Primary School and it has opened my eyes to how much more we could do as I am a firm believer that there is always room for improvements. 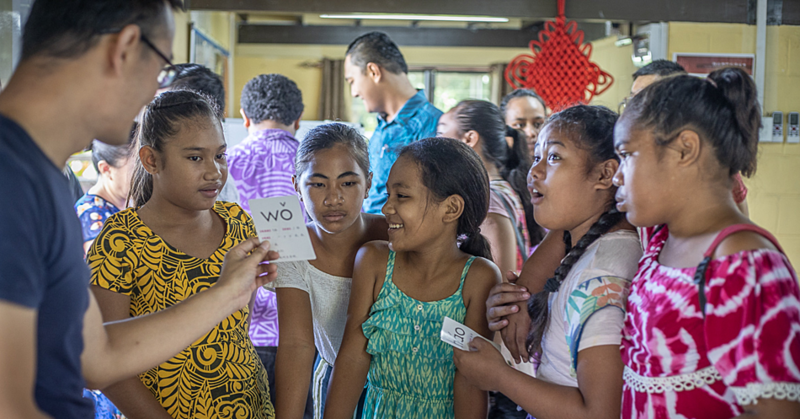 "Schools are where it all starts for everyone and for Samoa, an educated future generation will further see improvements in all facets of society. "To be Miss Samoa would be an honour to be able to take part in making a difference in not only the educational system, but other aspects." Sonia sees the pageant as more than just a beauty competition. "Miss Samoa is a role model for young women and to win the crown would be a righteous step forward to contributing to our community and country," she said. "Miss Samoa in a way is the spokesperson for our country and the perfect vehicle to provide empowerment to every young Samoan girl," said Miss Susana o Samoa. "I wasn’t born and raised in Samoa, but I have always felt a strong calling to be here. As I visit Samoa every year, it has prompted me to move here and I’ve grown up to see that Samoa is constantly changing for the better. "I have moved from Australia to dedicate the next couple of years to learn and appreciate my mother's birthplace and home here in Samoa, my home away from home. 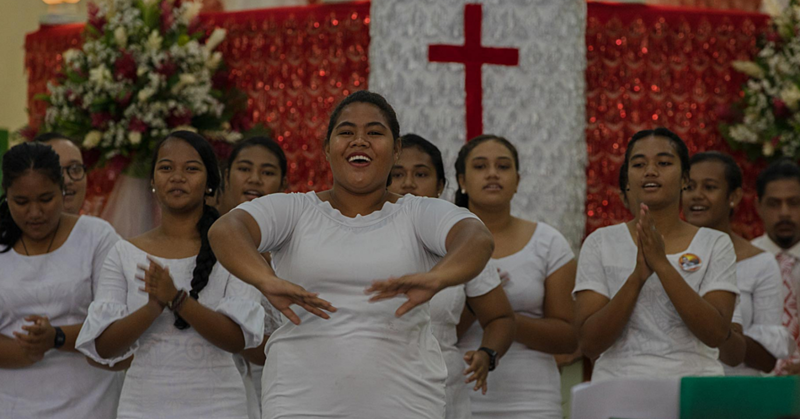 "I have always seen myself living in Samoa as I see it as God's calling for me." Her parents are heading to Samoa to support their only daughter. The Miss Samoa Pageant for the first time in her 33-year-old history will be staged in Salelologa, Savaii, at the Don Bosco Technical College on September 8, 2018. It will also be the first time that the pageant will take place in the daytime starting at 10:00am.